Bolivia's Salar de Uyuni, is the world's largest salt flat at 10,582 square kilometers. It's part of Bolivia's Altoplano at an altitude of 3,656m. The Salar was formed as a result of transformations between several prehistoric lakes. It is covered with a solid salt crust varying in thickness between tens of centimeters and a few meters.The brine below the salt crust is a saturated solution of Sodium Chloride, Potassium Chloride, Lithium Chloride, Magnesium Chloride and Borax in water. Of those, Lithium is most valuable as it is a vital component of many electric rechargeable batteries. With estimated 9,000,000 tonnes, Bolivia holds about 50% of the world's Lithium reserves according to USGS. Salar de Uyuni is estimated to contain 10 billion tonnes of salts. Lithium is concentrated in the brine under the salt crust at a relatively high concentration of about 0.3%. The most promising application for Lithium is the production of lightweight rechargeable batteries. Because Lithium has a very low atomic mass and because it is an element that is solid at room temperature, Lithium ion batteries have a high charge- and power-to-weight ratio and therefore are very attractive for the automotive and mobile devices industries and probably will be for decades. By comparison lithium-ion batteries are rechargeable batteries in which lithium ions move between the anode and the cathode, using a reversible inclusive Lithium compound as the electrode material instead of the metallic Lithium used as the anode in disposable Lithium batteries. The three primary functional components of a Lithium-ion battery are the anode, cathode and electrolyte. Generally, the anode of a conventional Lithium-ion cell is made from carbon. The positive electrode (cathode) is a metal oxide, and the electrolyte is a Lithium salt in an organic solvent. In a Lithium Polymer battery the organic solvent is replaced by a solid polymer composite such as polyethylene oxide or polyacrylonitrile. The electrochemical roles of the electrodes reverse between anode and cathode, depending on the direction of current flow through the cell. The most lucrative application for rechargeable batteries in the near future are stationary cheap and safe batteries with a very high cycleability that could provide large scale energy storage for the grid. The Lithium Ion batteries are out performed here by already available Zinc-Iron-Redox-Flow batteries or a new prototype Potassium Ion batteries. However these are batteries with a less power-to-weight ratio than Lithium Ion batteries and therefore less attractive for the mobile and automotive industry. Usually the brine of salt flats is pumped from about 40m below the surface and then placed in surface ponds, where it is exposed to evaporation under conditions of high heat, low humidity, and strong surface winds. The actual Lithium salt extraction process differs and is dependent of the access to clean water, energy, infrastructure, the levels of other contaminants in the brine and the availability of other chemicals needed for the extraction. The resulting Lithium chloride concentrate is further treated with sodium carbonate to produce the desired Lithium Carbonate. Lithium Carbonate is the industry's standard Lithium salt that is used to manufacture the more advanced Lithium products. 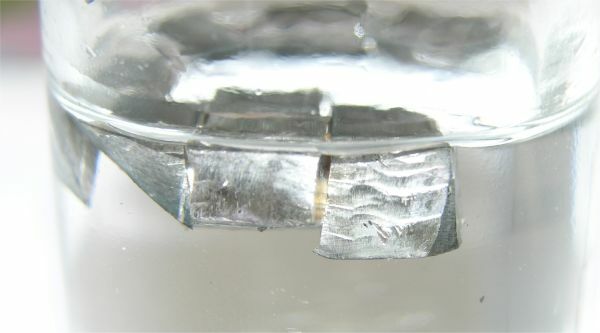 These more advanced Lithium products for Lithium Ion batteries could be anodes (ie Lithium foil, Lithium Aluminum alloy foil, Lithium Magnesium alloy foil), cathode precursors (ie different grades of Lithium Carbonate or Lithium Hydroxide Monohydrates), cathodes (ie Lithium Cobalt (III) Oxide, Lithium Cobalt Phosphate, Lithium Iron (III) oxide and components for the electrolyte (i.e. special grades of Lithium Fluoride, Lithium Chloride or Lithium Bromide). 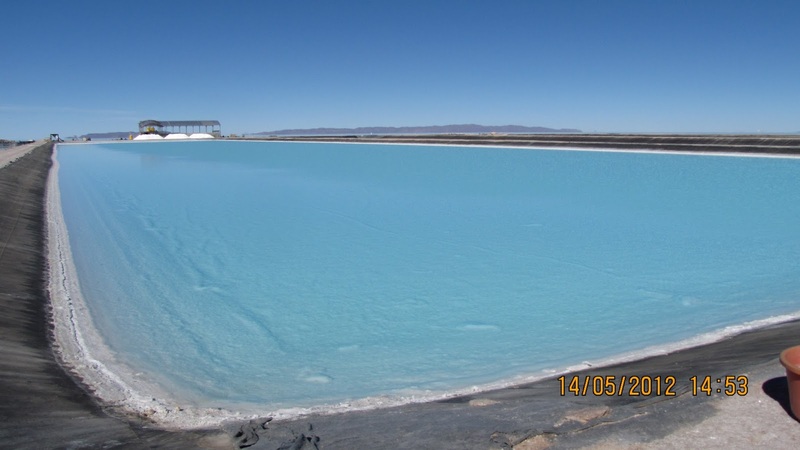 The Lithium extraction process that is used by Bolivian state owned company Comibol in a yet small test facility at Salar de Uyuni is described as unique. First Sulphates, Boron and partly Magnesium are eliminated using lime milk (Calcium Oxide). Then elimination of Sodium Chloride and separation of Potassium Chloride, is done by evaporation and fractional crystallization in special dedicated ponds. Further elimination of Magnesium is done by a desalination procedure. Finally, undisclosed chemical processes produce the final product Lithium carbonate with a purity of 99.99%. Lithium extraction in the 1980s and 1990s by foreign companies met strong opposition of the local community of Uyuni. An American-based international corporation even invested $137 million in the nineties to develop Lithium extraction in Bolivia. According to the NYT Bolivia was negotiating with Japanese conglomerates Mitsubishi and Sumitomo and a group led by a French industrialist, Vincent Bolloré and Korean firms to begin extraction in 2009. It turned out that foreign investors are not prepared to share their knowledge of Lithium extraction with the Bolivian government. The United States Geological Survey says 5.4 million tons of Lithium could potentially be extracted in Bolivia, compared with 3 million in Chile, 1.1 million in China and just 410,000 in the United States. Presently Chile is the leading Lithium producer, followed by Argentina. Both countries recover the lithium from brine pools. Chile has two producers of Lithium products, Chilean Sociedad Química y Minera de Chile S.A. (SQM) and German Chemetall SCL (Rockwood). Both companies operate at the Salar de Atacama, Chile, and account for more than 65 percent of the world Lithium market. The Salar de Atacama holds about 29 percent of the world’s known ithium resources. Argentina has at least two brine deposits of importance. 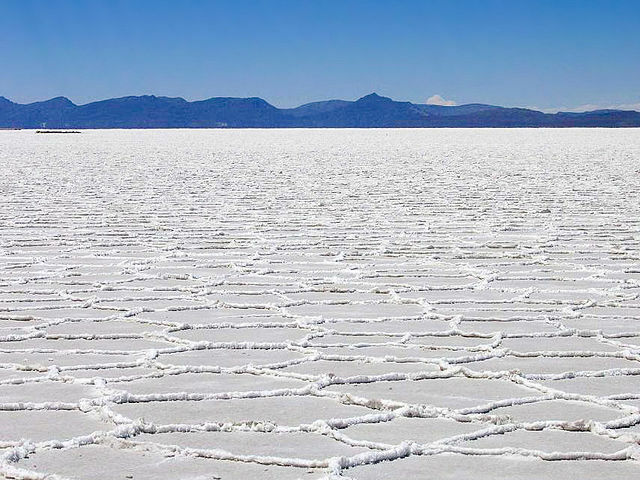 The Salar del Hombre Muerto operation, which is at 3,962 m above sea level and operated by FMC Corporation (USA), is recovering Lithium using a proprietary separation process. Asian technology companies continued to invest in the development of Lithium operations in other countries to ensure a stable supply of lithium for their battery industries. There is currently still no mining plant at the Uyuni site, and the Bolivian government is determined not to allow exploitation by foreign corporations. Instead, it has build its own pilot plant with a modest annual production of 1,200 tonnes (1,200 long tons; 1,300 short tons) of Lithium and to increase it to 30,000 tonnes (30,000 long tons; 33,000 short tons) by 2014. In Bolivia the state owned company Comibol is active at the salar de Uyuni. 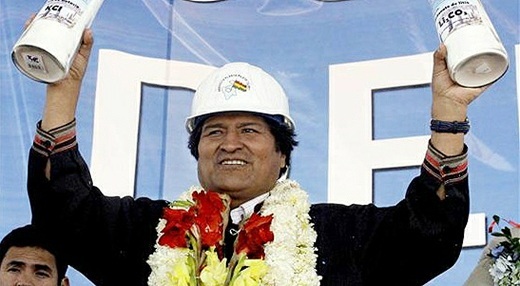 A Nationalist sentiment about the lithium has built quickly in the government of President Evo Moráles, who has already nationalized Bolivia’s oil and natural gas industries. But it is very likely that Evo Moráles will partly miss the Lithium boat. Lithium ion (Li-ion) batteries are a commonly used type of rechargeable battery with a global market estimated at $11bn and still predicted to grow to $60bn by 2020. But Lithium can be easily recycled from disposed and collected Lithium batteries. Therefore it is predicted that the global market for mined Lithium Carbonate will compete more and more with the recycled Lithium market. The mined Lithium Carbonate market will eventually peak in about 2020 and will get less profitable after the peak. 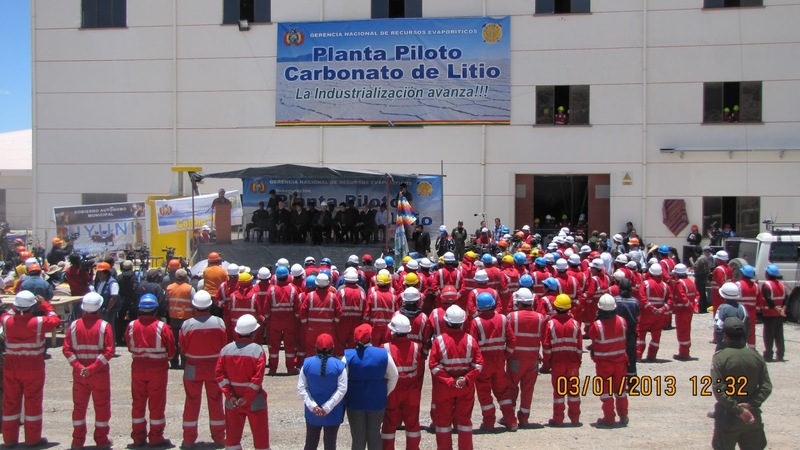 The implementation of the Bolivian Industrial Lithium Carbonate project was originally scheduled for late 2015 early 2016, but it is delayed for several years already. Bolivia wants a bigger slice of the Lithium cake, by producing Lithium Carbonate and even Lithium batteries. However, Bolivia hasn't got the knowledge yet to develop and manufacture Lithium Ion batteries. If it will have access to this knowledge and experience in the future, is still very questionable. Bolivia will need to keep up with the R&D competition of technically high developed countries. In other words it is very likely that Bolivia will still depend on patents, (nano)technology and know how of foreign companies to produce Lithium Ion batteries in Bolivia. Never the less there is some good news. A very promising letter of intent was signed with the Dutch government and a group of Dutch companies (Delft University of Technology, Da Vinci Laboratory Solutions, Boon Consultancy and BTI-Energy Innovators) to supply knowledge on the industrial production of Lithium batteries. Also according to Xinhua Net a group of Chinese technicians are expected in Bolivia to help install the country's first (pilot) Lithium battery plant, that is put it into operation by April 2014. Construction will be carried out by China's Linyi Gelon New Battery Materials Co. But it is not sure that Lithium will remain the first choice for rechargeable batteries for mobile devices and electric vehicles after 2020. Today, the rechargeable Lithium Ion battery's performance has already improved very much in laboratories. With all the latest nanotech improvements it will be maxed out at around 400Wh/kg energy density. Recently Stanford University researchers were able to achieve an energy density of >700 Wh/kg with a prototype rechargeable Zinc air battery. On the other hand rechargeable Lithium Air batteries are very promising too, but have still a much longer way to go. Rechargeable Lithium-Air batteries have the potential for the highest practical and theoretical energy density (1700 Wh/kg) compared to other battery technologies. However, that doesn't necessarily mean they will be efficient, quick to recharge, cheap to produce or safe to use.